I bumped into a friend this morning while walking the dog. She has three daughters, all in their 20s at various stages of university and work. She asked me how the exams were going and I remarked that she must be glad it’s all behind her. “Don’t think it’s ever over!” she said, and laughed. There was me, thinking we’re coming to the end of an era (which we sort of are) and feeling a little wistful already, when really we’re just moving towards another phase. I should know this by now, that parenting is a series of phases, but this one seems more dramatic because it’s the one where they start to leave home. 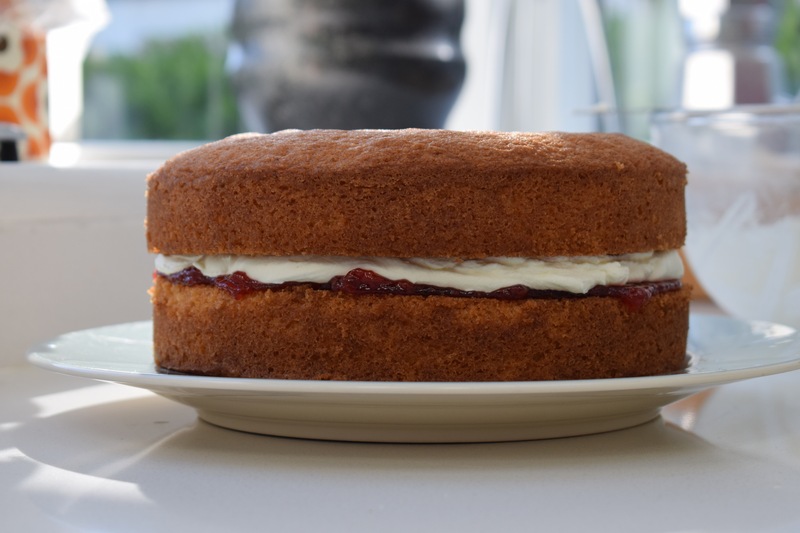 In the meantime, though, I am thankful that I work at home, that I can collect the children from the station and listen to their exam debriefs and soothe their frayed nerves, I can make sure they eat well and get enough sleep, I can bake cakes and I can put flowers on the table. Oh, wait… Those flowers are for me. They’re to brighten the kitchen and put a smile on my face. 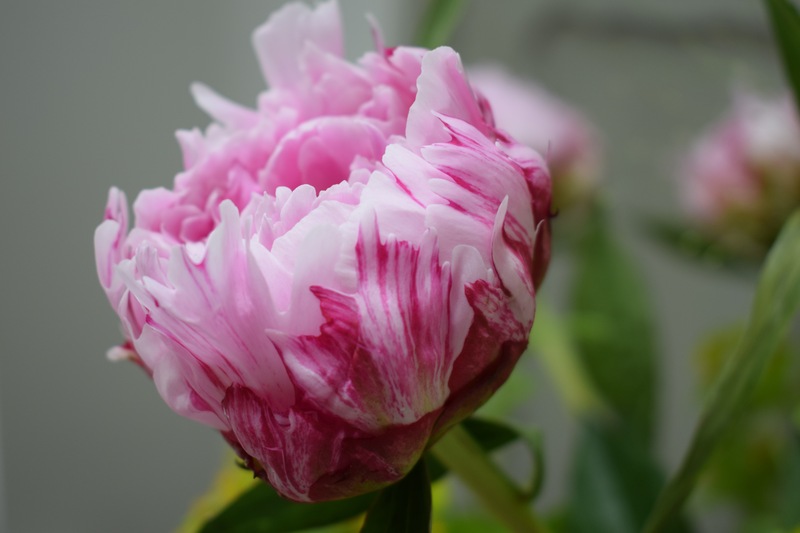 This week’s IAVOM is a cop-out – they’re supermarket peonies, popped into the trolley during yet another whizz around the aisles to stock up on gallons of milk, bananas, apples, bread, Cheerios… But, look – aren’t they exquisite? Totally worth the few pounds they cost. And they need no accompaniment in the jug; they’re perfect as they are. As a bonus, I’ve also refreshed last week’s vase which, apart from most of the roses, is still going strong. It’s good to know what lasts longer than a week in a vase. 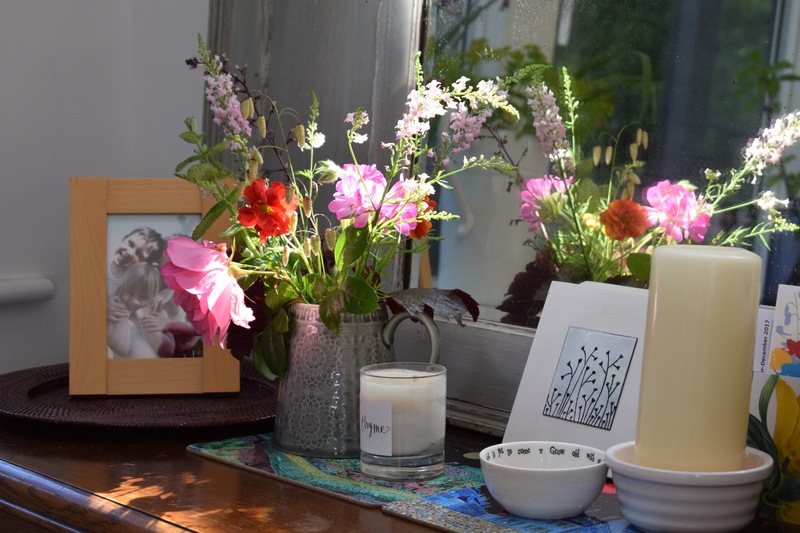 I’ve been reading up on the best way to get as much vase-life as possible – pick flowers that are mostly in bud, cut stems on a slant, pop a little vinegar or Milton in the water to deter bacteria, etc. Have you any other top tips? Do visit Cathy at Rambling in the Garden to see her Monday flowers and find links to many others. Wishing you a thoroughly good week (with flowers and cake, if that’s what takes your fancy). All beautiful! Those a great tips for making flowers last – thank you! 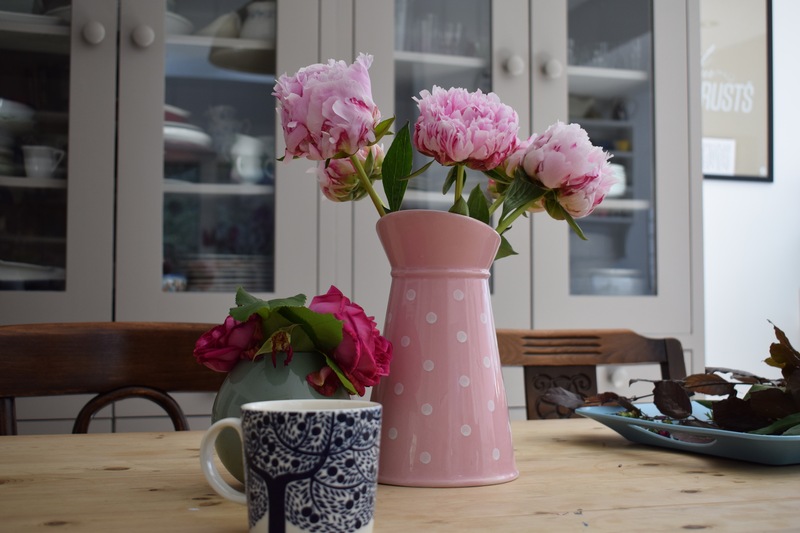 Oh I do love your tips for keeping vases fresh….and peonies from the store or garden are always a pleasure in a vase! Mine were shop bought too! Such a beautiful flower at all stages of their short life. 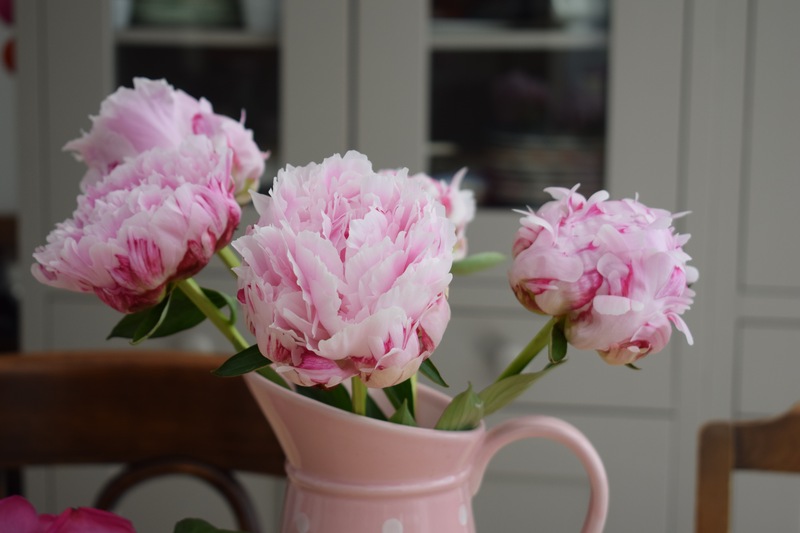 I bought some supermarket peonies myself a couple of weeks ago – they’d have been worth the joy they gave at thrice the price! I haven’t tried adding vinegar to vase water but I use the other steps you mentioned and I sear a lot of my stems in hot water before placing them in the vase, which seems to help. 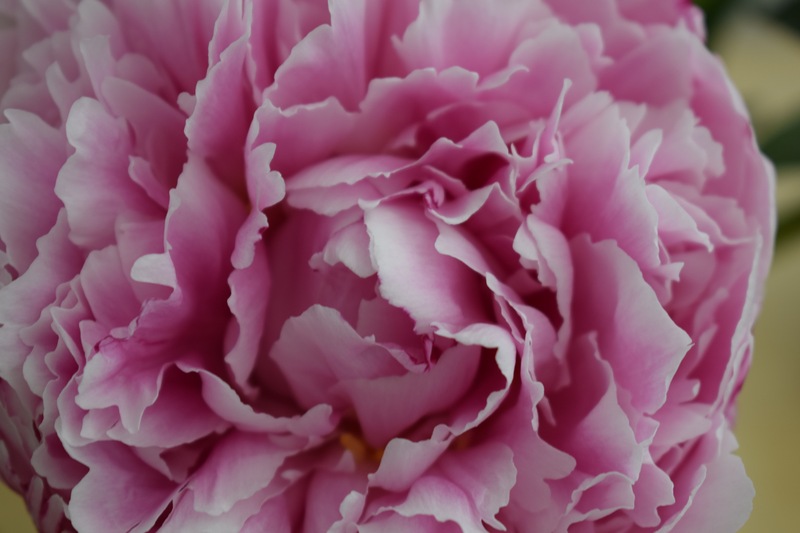 Gorgeous peonies – I wouldn’t have been able to resist them either! And last week’s vase looks as good as new. A drop of vinegar? I must try that. Thanks Sam! Lovely Peonies, even if they are from the supermarket. And yes, one’s children are never “finished”. Will they get a job? Will they finally get engaged? Once they’re engaged, have they set a date? And what about grandchildren? Our oldest is getting married this coming March (a long engagement, I know). More fun to enjoy watching a bud open over days in a vase. Working from home is just the tops when you have children (provided you have space at home and home’s a happy place). Exam times is the pits though. Hope all going well for you and that you’re soon through to the other side (for this year…). Love those peonies and the cake.